Need Help Selecting your Tyres? Selecting the correct tyres can be a challenge - that's why we're here to help you make your selections. Firstly you need to find the correct sizes for the tyres you currently have on your car. The diagram to the right shows you the position of each of the tyre sizes you'll need to check. 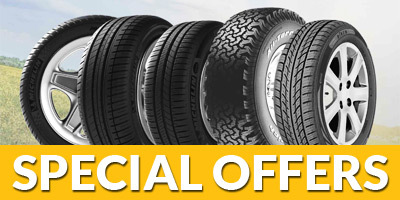 Just write these down & use our tyre selector to choose the tyres that are right for your car. If you're interested then we have enclosed the each definitions below for a little light reading for you! Don't forget - if you're not sure at any time just give our friendly team a call & they will help guide you through choosing the right tyres - contact us now on 22 751 211. The first thing you will need to do is get all the size information from your current tyre – that’s the numbers and letters along the side. Once you have these, enter them into our quote calculator to see which options are going to be best for you.